We will reply to you on your inquiry within 24 hours, and would be delighted to do free analysis of your requirement. Transforming Everything Physical Into An Ecosystem Of Information From Business To Life With IoT. IoT application development is a combination of hardware and software technology that produces trillions of data through connecting multiple devices and sensors with the cloud and making sense of data with intelligent tools. The IoT application development is transforming the world of business, creating greater efficiencies. Mobile has brought a dramatic change in the technology in the last century and Apple has been spearheading it. Internet of things is slowly becoming part of every aspect of our lives. Internet of things applications enhance our comfort and give us more control to simplify routine work life and personal tasks. The curiosity and efforts have promised us a life where electronic devices and machine will probably become our best friend. The capacity of IoT market is huge, but some domains will mature more quickly than the rest. It consists of all the web-enabled devices that collect, send and act on data they acquire from their surrounding environments using embedded sensors, processors and communication hardware. There is strong and growing demand for connected home devices, services, and solutions. To maximize the potential of the connected home, all these different devices and services need to be able to interact with each other seamlessly between companies from different sectors. SSTech System is rapidly growing IoT Application development company, which focuses on providing Cost effective services to small, medium and large enterprises across all industry. The effect of the IoT is already evident in consumers’ homes. 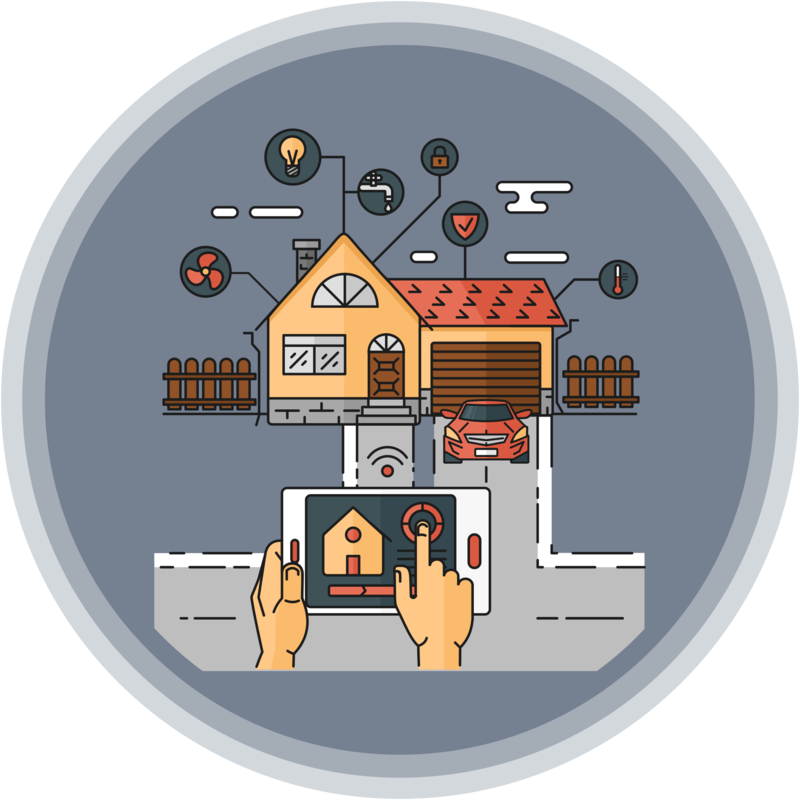 Connected home security systems, energy meters, games consoles and other appliances are enriching the lives of consumers in many markets around the world. Association gives consumers remote control of their home, enabling them to save money, access new services and enjoy greater peace of mind. Companies are building products to make your life simpler and convenient with IOT application development. SSTech is a fastest growing IoT App development company that allow to channel data and network into meaningful information flow and leverage higher benefits. Smart home has become the revolutionary ladder of success in the residential spaces. Smart home products save time, energy and money. Smart home devices plugged in gadgets come outfitted with Wi-Fi capabilities and companion apps. Smart Locks: when it comes to the best smart home devices, smart locks, and doorbell cams allows to swap jangly keys for a smartphone, let friends in, even when you’re not home and answer the doorbell…. from the office. Intelligent Oven: Intelligent oven might not look like much more than a toaster oven, this countertop beauty can do everything from toast to slow cook meat. Sensors figure out how best to cook whatever you’ve got on the menu, while Wi-Fi connectivity and an embedded camera stream live video to a smartphone. Wearables have experienced a fiery demand in markets all over the world. Some consumers are also now adopting watches that provide richer functionality, including messaging and Internet access, as well as activity tracking. These watches can be configured to provide consumers with timely alerts, such as the availability of a nearby parking space or the time of the next train. Smart watches can also be utilize to enable mobile payments. The watches may use biometrics to enable the authentication process. Companies are flowing money into the internet of things. IoT connected cars are of particular interest to investors. A connected car is a vehicle which is able to optimize its own operation, maintenance as well as the comfort of passenger using on-board sensors and internet connectivity. The car that automatically senses the wear and tears and self-schedule the maintenance. Apps such as Gas buddy show the driver where he or she can find the cheapest fuel in their area. The Industrial internet empowers with sensors, software, and big data analytics to create brilliant machines. A Smart city is another powerful application of IoT generating curiosity among world’s population. Smart surveillance, automated transportation, smarter energy management system, water distribution, urban security and environmental monitoring. Farmers have also been turning to connected sensors to monitor both crops and cattle in the hopes of boosting production, efficiency and tracking the health of their herds. Farmers are using sensing for soil moisture and nutrients, controlling water usage for plant growth and determining custom fertilizer are some simple uses. 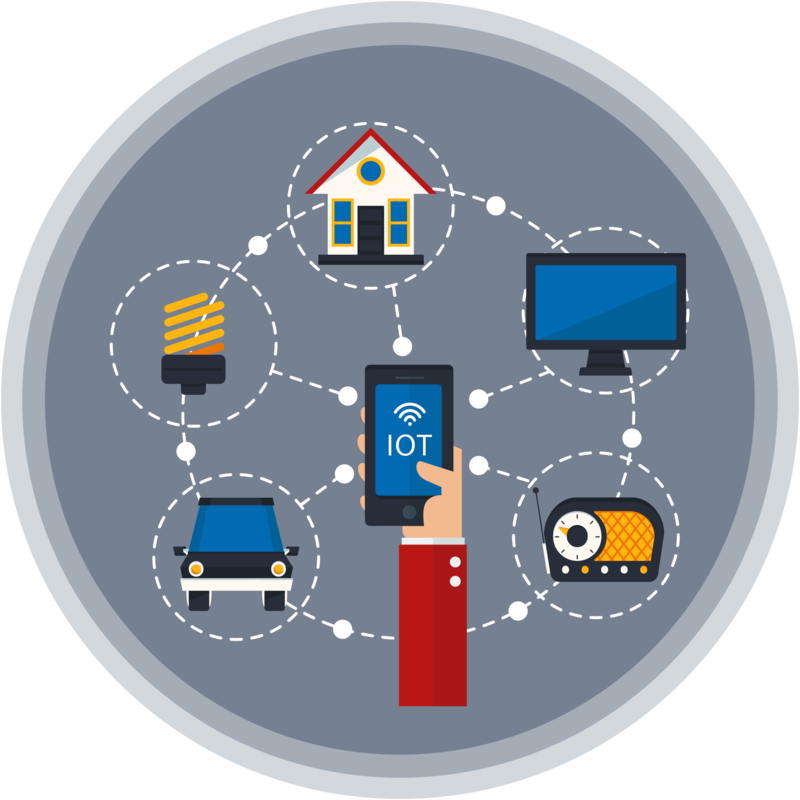 The potential of IoT in the retail sector is extensive. Our IoT app development services provides an opportunity to retailers to connect with the customers to enhance the in-store experience. Smartphone will be the style for retailers to remain connected with their consumers even out of the store. Interacting through smartphones and utilizing beacon technology can help retailers serve their consumers better. They can also track consumer’s path through a store and improve store layout and place premium products in high-traffic areas. IoT App development in health care is a heterogeneous computing wireless communicating system of apps and devices that connect patients and health providers to diagnose, monitor, track and store vital statistics and medical information. It is a platform that interactively connects patients with a nationwide network of licensed doctors 24/7 using the internet. Internet of things, video chats, smartphones and electronic medical record (EMR) clouds. Examples of IoT in Health Care. Sensors embedded in medical equipment, dispensing systems, surgical robots and device implants. Immediate medical attention especially during times of medical emergency and natural disasters. Equal and comprehensive health provisions to everyone by eliminating geographical barriers, better communication-communication to the primary care doctor and specialist happens at the same time because everyone is virtually present in the same room during diagnosis. Expanded reach of various health service providers. The future of IoT is more captivating that this where billions of things will be talking to each other and human intervention will become least. IoT will bring a macro shift in the way we live and work. "Quick Contact To Our Support Team"